This certificate program is for internationally educated teachers who would like to pursue a teaching career in Saskatchewan. Candidates for this program must have completed at least one year of a teacher education program in their home country and be qualified to teach in their country of origin. Candidates must first contact the Saskatchewan Professional Teachers Regulatory Board (SPTRB) for assessment before applying to this program. Prepare for a career teaching in Saskatchewan by taking a carefully selected program of five courses. The first four courses are delivered online and will expose you to topics relevant to teaching and learning in Saskatchewan such as the legal context, First Nations and Métis culture and diversity, special education, and the province's curriculum. The final course is a field experience course where you will apply your learning with the support of a peer facilitator teacher. To complete this program, you will take five courses. * Note: to receive a Saskatchewan Teaching Certificate, candidates may be required to complete more coursework than that required by this certificate. If that is the case, individuals may complete additional courses as they are available and offered in the current undergraduate program. 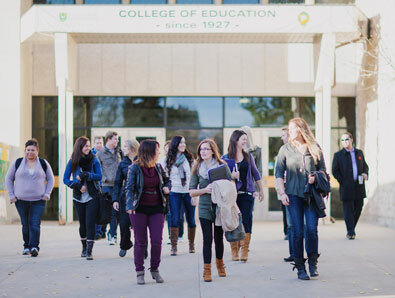 This certificate program is tailored to meet the learning and academic needs of teachers educated abroad who would like to teach in Saskatchewan. Our province's schools have more international students enrolled than ever before and we believe our teachers ought to reflect the diversity of our population. The Internationally Educated Teachers Certificate is offered by the College of Education.